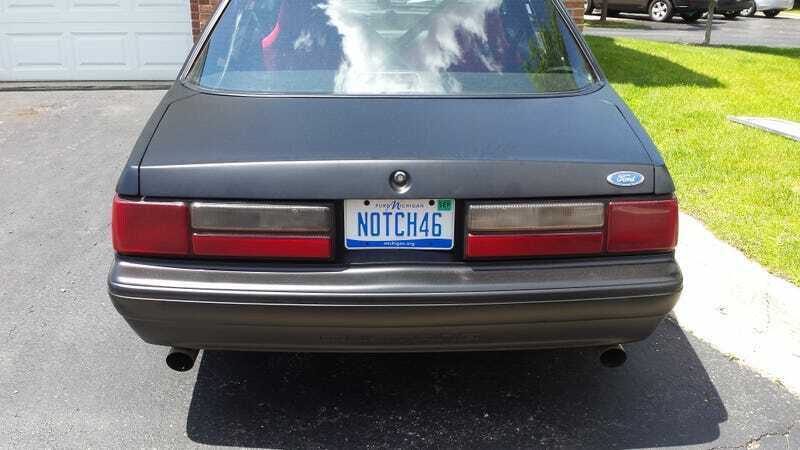 I’m not usually into vanity plates, but I decided to get one for the fox body when I moved to Michigan. I really wanted 46NOTCH, but it was taken. Also, I took my lady friend to the local Autocross a couple weekends ago. She liked it. Took second in the CAM-C class, a decently modified 2012 Mustang GT beat me. Not bad for an old Fairmont! What is the opposite of an enthusiast car?